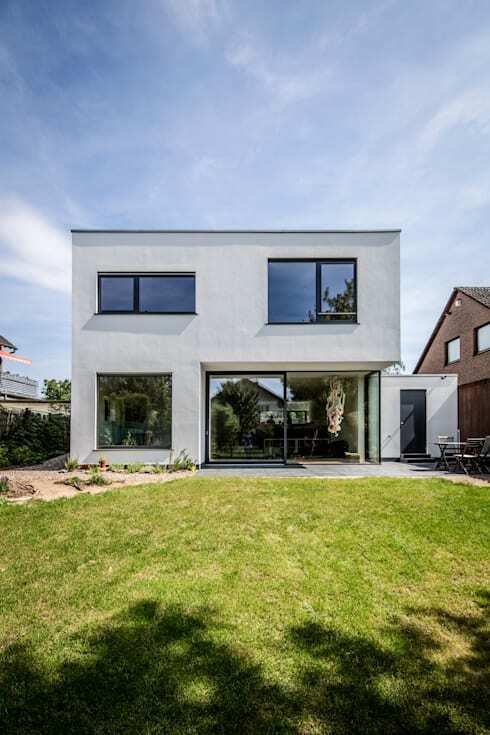 This minimalist home is an attractive sight, from the cool exterior that is modern and stylish to the gorgeous garden that will leave you entertained for hours. This home is the minimalist dream of many. It’s a spacious home that is perfect for a modern family that value sophistication, elegance and of course a lovely living space. This home is a great addition to any suburb and has an interesting take on simple style that will make recreating this homify 360 feature a definite must. But, let’s see the home for ourselves and be simply inspired. From this perspective it is clear that this home is amazing and attractive. The structure and style as well as minimalist detail shows that this homeowner values privacy and elegance. 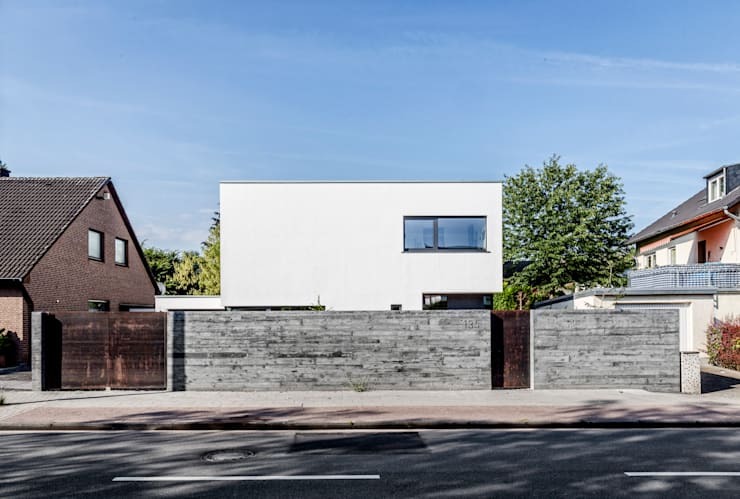 A large fence separates the compound of the home from the street, which is great when prying eyes and nosey neighbours are a problem. The architects of this contemporary family home ensured that the outdoors were just as much a usable part of the home as the rest of the interior. The home has an outrageous amount of windows that perfectly adorn the exterior, while allowing natural light and fresh air to enter the home, warming the interior and creating a cosy effect that is charming. The cellar of this home is a fantastic space. And because this basement has a window, it’s more of a comfortable extension of the home and less of a dark and dingy neglected room of the house. It’s unique and unusual, with a phenomenal view that makes it even more of a valuable to the residents of this home. Use it as another living room, an extra bedroom or even that TV room you’ve always wanted and keep the rest of your home neat and tidy. 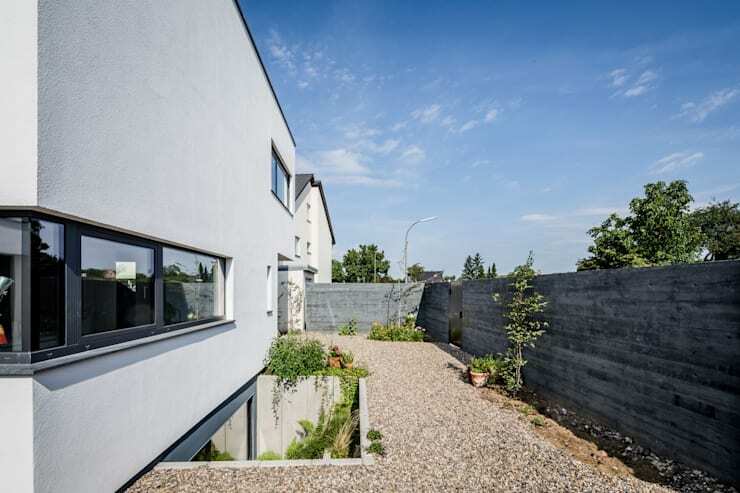 The garden view of this sensational modern home shows us even more of the stylish and eclectic appeal of the exterior. The gorgeous glazing allows for transparency and lighting to escape from the interior. The perfectly positioned sliding door allows for easy access between the indoor living space and outdoor areas of comfort and fresh air. 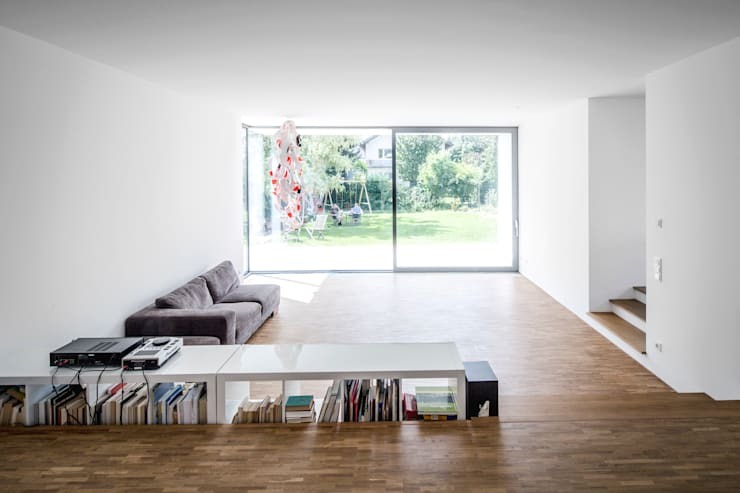 This minimalist and contemporary home interior is spacious and welcoming. 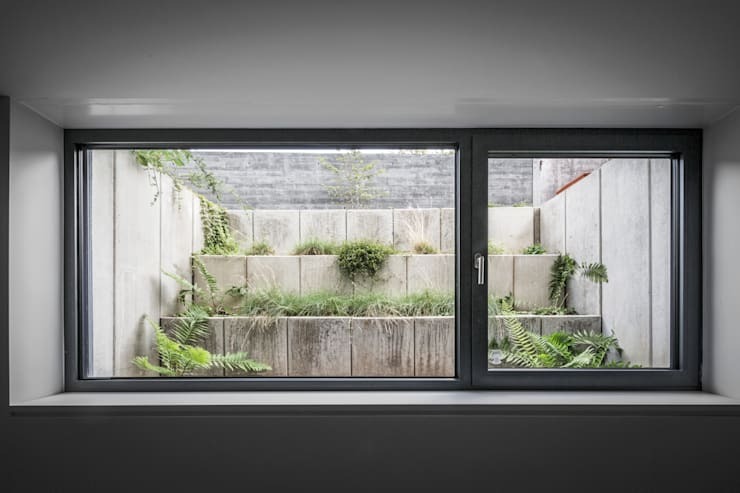 The natural light that pours in through the sliding door creates and aesthetically attractive style that also allows the view of the garden to be enjoyed. The living room itself is neat, tidy and uncluttered in style, while the addition of the wooden flooring adds a warm and cosy atmosphere that is comfortable and inviting. We have come to the end of this interesting Ideabook, but before we end off, let’s have a look at the modest and modern bathroom that is simple and chic. 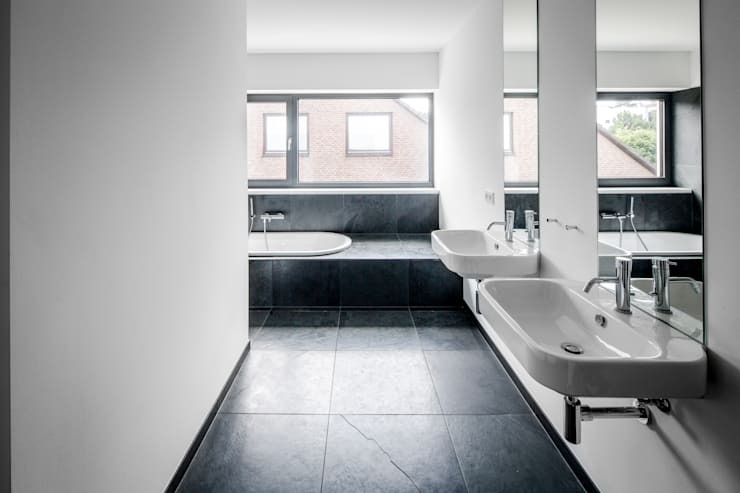 The combination of white and grey is tasteful and trendy, while the natural light and the mirrors allow this bathroom to look even more spacious and stylish. It’s a great décor choice for the modern bathroom in this home. If you liked this home, then: A Safe, Secure and Cosy Family Home is great too! Would you choose a home with a minimalist style?